From a Galveston coffee shop serving daily Cambodian eats to a Cambodian Buddhist temple, here’s how to experience a piece of Cambodia in Houston. Asia Fest – Asia Society’s annual Asia Fest celebrates Asian Pacific American heritage through family-friendly and creative activities, community performances, exciting artwork and vendors, and plenty of tasty fusion cuisine. Asia Society Texas Center – The Asia Society Texas Center focuses on enriching and engaging the vast diversity of Houston through innovative, relevant programs in arts and culture, business and policy, education, and community outreach. 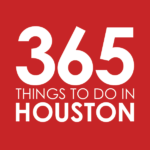 Look out for film festivals, family days, student programs, art exhibits, and markets. Arts of Asia at Museum of Fine Arts, Houston – The Museum’s collections of Asian art span nearly five millennia and encompass the cultures of China, the Himalayas, India, Japan, Korea, and Southeast Asia. Happy Coffee Shop – Alongside the usual café items like croissants and cakes, this unassuming Galveston coffee shops offers a daily selection of Cambodian specials thanks to its Cambodian owner. Asia Market Thai Restaurant – This popular Thai restaurant serves Hor Mok, a steamed fish curry in banana leaves that is similar to the culinary tradition of amok in Cambodia. Hu Tieu Nam Vang Hong Phat – You’ll find Phnom Penh-style rice noodle soup, known as hu tieu or kuy teav, at this Asiatown spot. Mein – This Cantonese eatery offers a pan-Asian house wonton noodle soup, an amalgamation of flavors from the places that owner Mike Tran has lived in, including Cambodia, Malaysia, and Hong Kong. Made with thin egg noodle, shrimp, pork belly, shrimp and fried wonton, minced and crispy pork, garlic oil, and XO sauce, plus chive, cilantro, green onions, and soy sauce, the 16-ounce soup is a meal in itself. You’ll also find water spinach, Phnom Penh pho, and noodle soup. 99 Ranch Market – Hit any of the three Houston-area locations of this Asian to shop for extensive varieties of rice, noodles, spices, curry pastes, fresh produce, meats and seafood, and special finds like fermented sauces; and check out the food court, which slings authentic eats from across Asia. Hong Kong Food Market – This colossal market in Chinatown’s Hong Kong City Mall spans the continent of Asia, offering tastes of China, Japan, Korea, Vietnam, Malaysia, Thailand, and Cambodia. Berlitz – This learning center offers flexible programs for adults and children, with languages including Khmer. 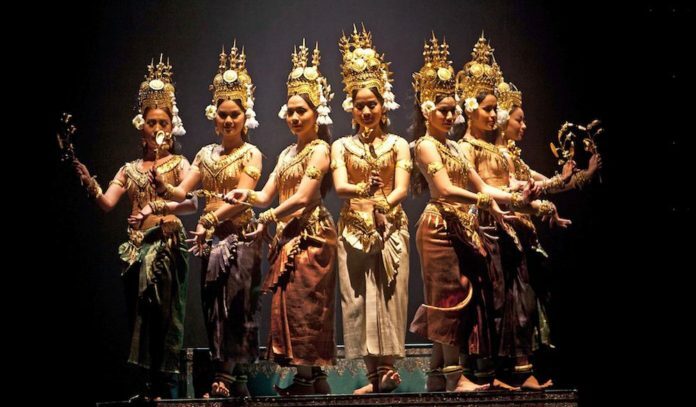 Cambodian Culture Preservation of Houston – Join this private Facebook group to connect with Cambodians in the Houston area. Khmer House-Houston – This Facebook group is open to the public, connecting Khmer in Houston and around the world. Wat Angkorchum Cambodian Buddhist Temple – This Cambodian Buddhist temple sits off Kuykendahl. Little Cambodia – About 30 miles from Downtown, Rosharon is a small Cambodian farming town that cultivates water spinach. After suffering devastation from Hurricane Harvey, the refugee community is trying to get back on its feet, recently receiving a grant from the American Red Cross (which awarded Sewa International a $500,000 grant to rebuild homes).